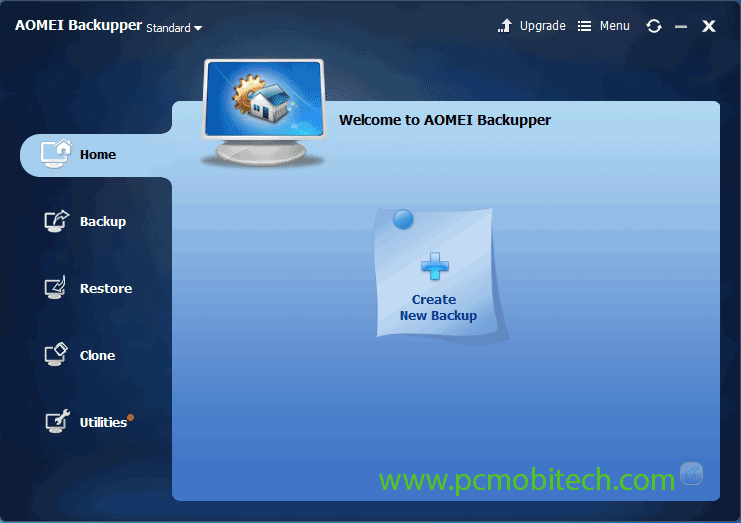 AOMEI Backupper is an advanced all in one backup & restore tool. It is not only a data backupper or restorer utility, you can also easily take a snapshot image of your any existing drive, and later the cloned image can be restored to a new HDD or SSD. So, if you clone your current Operating System and want to restore it to another drive, then it will help you very efficiently. As we all aware, We all need a useful backup tool. Some available at free of cost and some are paid. Most of the applications don’t do all the task according to our need. But AOMEI Standard & Pro version contains all the features: Backup, sync, restore and clone your Windows system (Pro), crucial data, and necessary utilities that can full-fill your requirements. AOMEI Backupper is available in 5 variants: Standard, Pro, Technician, Server, and Technician Plus. But here, I will talk about the Standard and Professional version because all basic features that needed for a regular computer user are already present in these two versions. 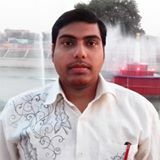 So talking about the features review of the software Standard and Professional are sufficient. AOMEI Standard Edition is a complete backup solution for your device. In the free version (Standard Edition) of AOMEI you’ll get all necessary options that is required in a good backup utility program including: System Backup, Disc backup, Partition backup, File/Folder backup, Automatic backup, Full backup, incremental backup, differential backup, File/Folder sync and Automatic Sync. So use between any of these options that fulfill your requirement. Fast Restore feature allows you to restore a backup when needed it supports the following method to restore data: System Restore, Disk, Partition, Selective File, File/Folder, UEFI, Restore with Sector Alignment. 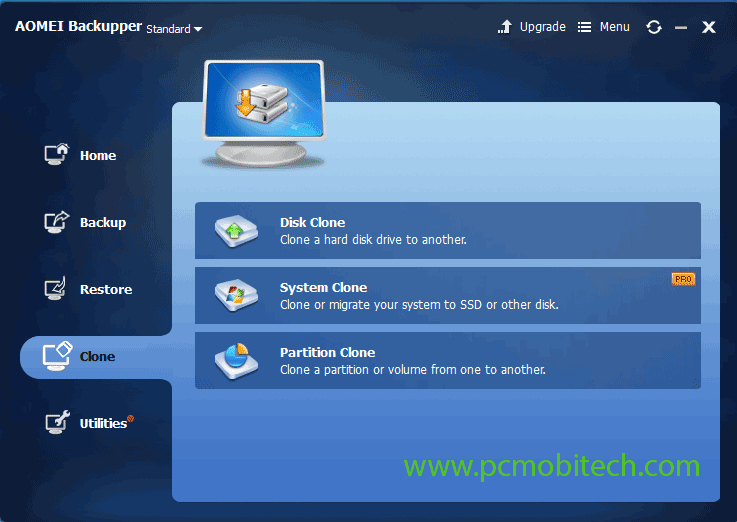 Easy Clone can make the clone of your computer Disk, Partition & Clone With Sector Alignment, so later you can restore full disk. Some Powerful utilities are also inbuilt in the software when required, you don’t need to install or use another tool. You can Create WinPE & Linux Bootable Media, Encrypt Backup Image, Compress Backup Image, Check Backup Image, Explore Backup Image. You will have numerous places saving option. It can do Backup/Sync to Local Disk, External Hard Drive, Network Share/NAS, USB Flash Drive, Cloud Drive. When it comes to compatibility then you will not need to worry because it supports all latest technologies, such 4K Monitor, MBR/GPT Disk and Dynamic Disk, UEFI/EFI Boot Mode, NTFS/FAT/EXT File Format, Cloud Drive, USB Flash Drive, SSD, External Hard Drive, Hardware Raid, Internet Disk, NAS, Virtual Devices, etc. Note: All above features that you have read, are freely available in the Standard version, if you think these are capable of doing all your daily task, then you will always remain happy because you can use the standard very without any cost. However, if you do a professional job and need some deep system-level professional work, then I will recommend you to buy AOMEI Backupper Professional Edition. When you do some advanced level task such as System Clone, you’ll need to go with AOMEI Backupper Professional Edition. Here you can check all those options that you’ll miss in the Standard (Free) version of AOMEI Backupper. It is a premium feature, so also you can’t get this feature in any other free version software. When you think to migrate your existing OS from HDD to SSD, SSD to HDD, SSD to SSD, HDD to HDD without reinstalling windows and application then you’ll need a System Cloning software utility. AOMEI Backupper Professional Edition ensures the system will be remain bootable after migrating. It also supports MBR/MPT disk, mSata/M.2/PCI-E SSDs, UEFI Boot Mode, etc. The Universal Restore option helps you to restore a backup image to a different computer, even when the hardware is different from that computer, from that the Backup image is created, It can also work for moving OS from physical drive to Virtual Machine. It supports Command Line Utility, so you can execute the backup, Restore and clone operation via command prompt. This feature can make a combination of full backup and chained incremental backups into one single backup file so that you can manage the backup easily. With this option, you can split a large backup image into the multiple smaller files, and also you will have the power to decide the specific file size. You can manage the option in AOMEI settings. 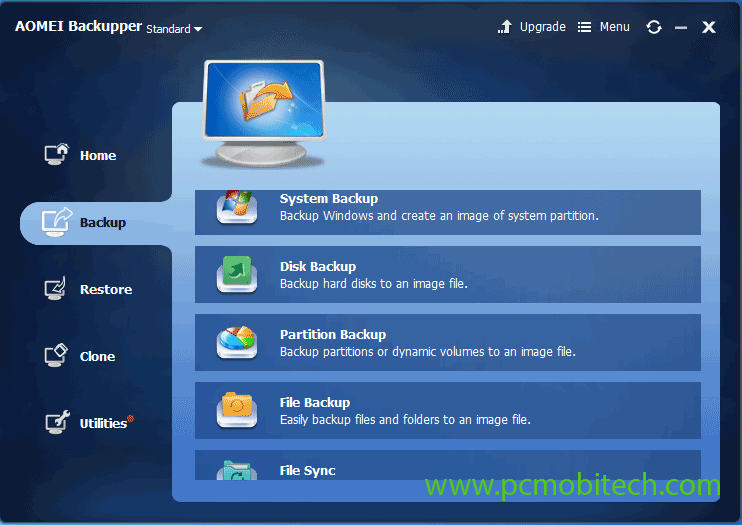 Backup Scheme automatically deletes old backup images, It will help you to save disk Space. AOMEI Backupper supports PXE Boot Tool utility. It can do Startup a Client-side Computers within LAN through the Network booting mode. It uses AOMEI windows PE/Linux Micro System on a server-side computer for system maintenance and also you can use your own personalized bootable image file for doing same work. AOMEI Backupper Pro works in real time and updates the backup files when you add, delete, modify the files and folders as soon as you made changes. AOMEI Backupper Pro automatically start & create a scheduled backup task. This option allows you to exclude certain file extension from backup or sync. It can quickly restore a backup file with NTFS permissions. You can easily backup data on CD/DVD Disk. AOMEI Free Standard version allows you to enable notifications via Hotmail Server, Gmail Server, and pro version additionally allow you to use AOMEI Server, Custom SMTP Server. AOMEI Backupper supports all the latest Windows versions: Windows 10, 8.1, 8, 7, Vista, XP (all editions, 32/64-bit). So, don’t worry about the system compatibility problems. After testing both AOMEI Backupper Standard and Pro version, I found it is one best Data backup software. It has many features that you will not see in others backup tools. I will highly recommend this because you can use the free version without any restriction. After checking features its features if you want to buy AOMEI Backupper then use above link and get upto 30% discount coupon on AOMEI Backupper Professional Edition. 5 Best Data Recovery Software For Windows. Stellar Phoenix Windows Data Recovery Review.